Tennessee has their hands full with one of the best backfields in the country on Saturday. When No. 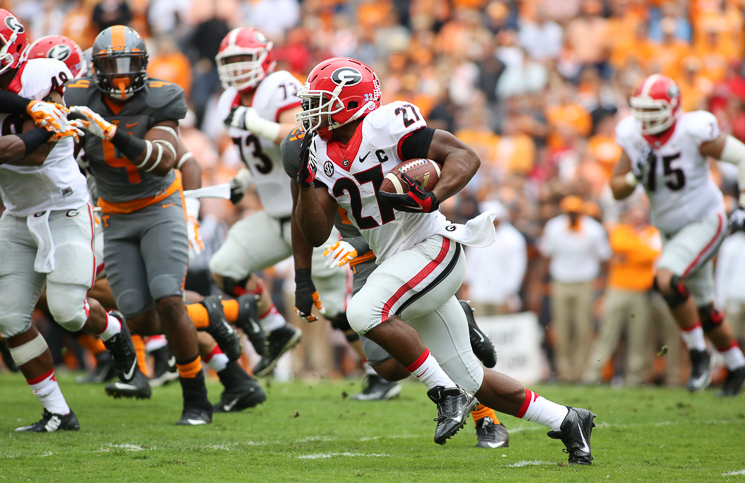 7 Georgia comes to town, Tennessee’s defense has a tough test in stopping the Bulldogs’ rushing attack. On offense, the Vols are coming off one of the worst performances of the Butch Jones tenure. Quinten Dormady will need to minimize mistakes in order to get the ball out to his playmakers in space against a stout Georgia defense. As I take a look at this Georgia team, a couple of things stand out on film. They have a very good offensive line that will get downfield, like Tennessee’s. But the Vols will have to minimize one-on-one tackles against the Bulldogs’ backs. Offensively, Tennessee just has to keep things simple and hope its athletes can make some plays. Here’s what I saw when I looked at Georgia’s film, and this is how the Vols can pull off the upset on Saturday.